Last week I started a new series of my writing diary. Today it seems appropriate to do the same for my reading. 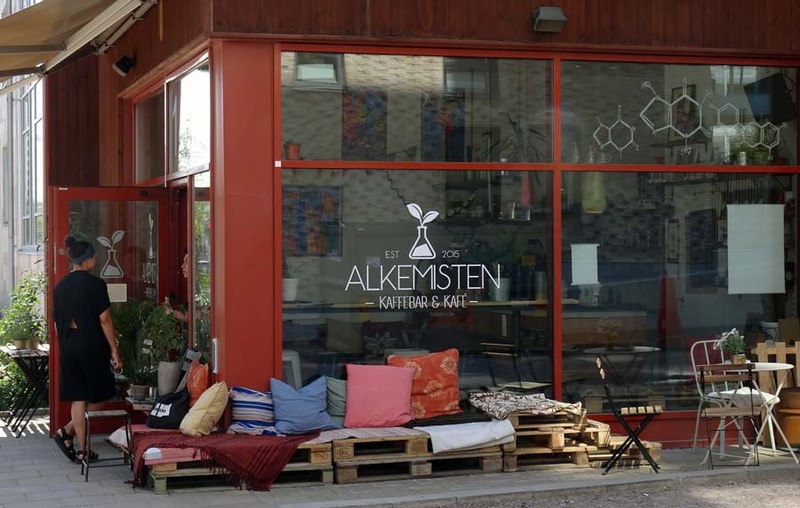 So I’m sitting outside the Alchemist coffee bar – Alkemisten – with a strong macchiato and a cheese sandwich in a very nice bread roll and my notepad open in front of me. It’s breakfast time in Kvillebäcken and the sun has yet to get up above the housetops opposite. As I’ve written here before, although I once used to be a voracious reader, I lost interest during the worst of my depression. I’m slowly coming back though and 2018 is my third year of aiming to read at least 50 books during the twelvemonth. I managed to hit that target in 2016 and 2017, so I’m fairly confident about doing it again this year. The first two years I just read what came to hand, whatever was recommended, whatever I picked up at the library, whatever caught my fancy on the shelves of one of English language bookshops in Brussels. Now, however, I find myself thinking about strategies, and I’m not sure that’s a good thing. 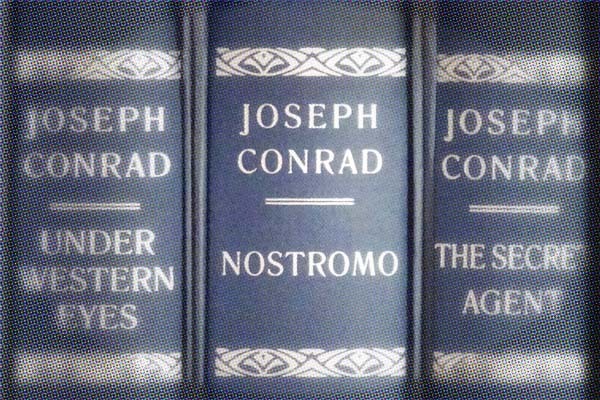 My first book of the year was Nostromo by Joseph Conrad. This was a re-read. I read it first as a teenager as part of my school studies. Reading it again now, some 45 years down the line, I was a bit disturbed to realise how much of it I no longer remembered. There is one scene in which a man is tortured, hung up by his back-bound arms. That stayed with me. And the fact that Nostromo (“our man”) is not the protagonist’s name, but the label the English colonists use for him. That was all. The book is a fascinating read, but it’s not an easy read. It’s not about Nostromo. Nor is it about the people who exploit him, not really. It’s really about the corrupting influence of wealth – the silver that is mined from the great mountain that looms over Sulaco, the provincial South American town where the story is set. The first part of the book I found very confusing. Not to begin with – the first chapter is fine – but after that the point of view flits from one character to the next: the town, the mine, the cast and Nostromo himself are all illuminated from different perspectives and even different time periods. If you pick up Nostromo to read yourself and are as confused as I was to begin with, here’s a tip. Turn directly to chapter 7 in Part 2 and read that. It’s a chronological account of the events of the first two-thirds of the novel told in a letter written by one protagonist to his sister far away. It helped me get my bearings. It’s not my idea. I got it from the foreword to the edition of the book I was reading. First I read Part 1, in mounting confusion. Then I read the foreword. I flipped to chapter 7 in Part 2, read that, and then I re-read the novel from the beginning and all the way to the end, and I was satisfied. More than satisfied; it’s a very good read. But then I realised I wasn’t going to hit my mark of four books read in January. Not by a long chalk. It took me three weeks to read Nostromo. So that was when I caught myself thinking strategically. I thought: Suppose I don’t read difficult books or long books? Or if I read some of those, suppose I make a point of reading only short, easier books between times? But then, when is a short book easy? Just last week I completed Italo Calvino’s Invisible Cities in William Weaver’s translation. That’s short enough – 143 pages. I read it in two days. But it’s so packed with ideas, visions and poetry that I’m now re-reading it a couple of pages (a couple of cities) at a time. I’m not going to “cheat” and count this re-read as a second book read, though the temptation is there, but what became of my strategy? 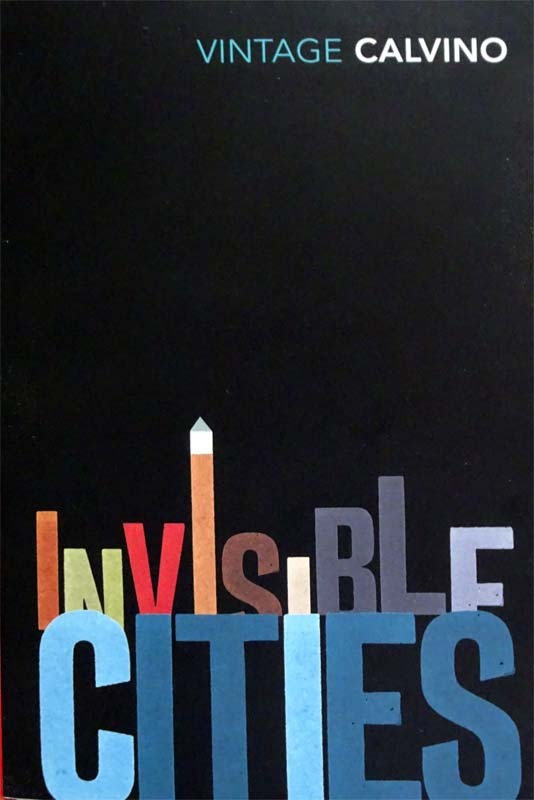 Invisible Cities is a wonderful piece of writing, inspirational even, and it’s short. But it turns out it’s not so easy. My current practice is to have two books on the go at once. (Three at present, if you count Invisible Cities.) Just now I’m about halfway through Railsea by China Miéville and I just started Giovanni’s Room by James Baldwin. Books just finished are Yarden by Kristian Lundberg (in Swedish), Elmet by Fiona Mozley and White Trash by Nancy Isenberg. White Trash was another long read. 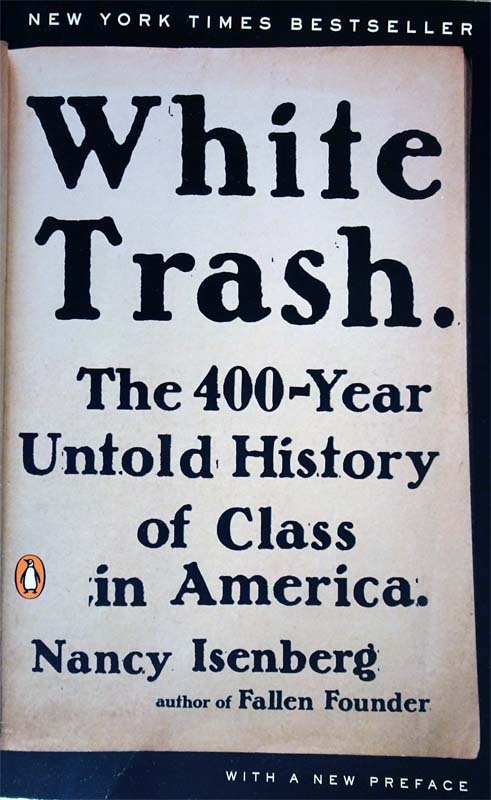 It’s a history of the class of people Americans call “white trash”, and it traces them back to the original English colonies in America and on through 400+ years to the present day. The book was published in 2016, but the paperback edition I have includes a new post-Trump-election foreword. Placing the Trump phenomenon in context does not make him seem as much of an aberration as one might think. Yarden was a re-read, but I’m counting it because I first read it in 2014. I was so impressed by it at the time. And impressed at myself being able to read something so dark – and in Swedish – at a time when I was still unsure how safe the ground was where I stood after climbing out of my most recent depression. I read it again now because I caught myself thinking about it and praising it to Manos and Liza, two of my creative writing coursemates here in Gothenburg. Also the recent film based on the book and going by the same name was showing on Swedish TV. I watched it, but was deeply disappointed. It didn’t seem to reflect the book as I remembered it at all. So of course I had to re-read Yarden, and I found the book just as good as I remembered. The film is a travesty. I’ve got a plan to try to do some regular literary translations from Swedish. I’m going to start with a passage from Yarden – I’ve chosen something about three pages long. I’ll publish it here (under Articulations) if it turns out well enough. Before Yarden, before Elmet, before Invisible Cities (but still parallel with White Trash) I read a thriller. Burning Angels by Bear Grylls. What rubbish! My excuse is that I picked it up at the airport bookshop at Landvetter and it was my only reading matter while Mrs SC and I were on holiday at the end of April. I read it to the end, gritting my teeth all through. I’ve got a whole review detailing all its worst faults, so I won’t write more about that now. Instead, as I see this blog entry is getting to be overlong, I think I’ll bring it to a close. Also, my second macchiato is drunk and the sun has cleared the top of the buildings opposite. It’s shining brightly – glaringly – and hotly on me as I sit here, so it’s time to go and put this onto the website. I wrote this article also for the #Blogg52 challenge. As of 30th September 2018 an extract from this diary entry relating to Joseph Conrad’s Nostromo now appears on Good Reads here. I am so happy that your are back on #blogg52 John!!! Books are wonderful places to visit, it is easy to get there and easy to get home if they turn out to be dull. My only experience from Joseph Conrad is Heart of darkness and I cannot think of any reason why I didn’t read more. I was so totally swept away by the combination of the text and the fantastic illustrations in the copy I got hold of at the library so I tried to find it in every bookstore and on internet. Nobody had that illustrated edition. I had to have it. The library had it. Sorry, won’t do it again … The book I am reading currently is The bookthief. Thanks Eva. Let’s see if I can manage another 52 weeks. Härligt att få nöjet att läsa dina inlägg igen John! Tack! Jag ler fortfarande efter att ha läst dina kommentarer om böckerna, samtidigt tänkte jag: Vilket tålamod han måste ha, jag hade lagt ifrån mig böckerna om de inte föll mig i smaken. Intressant läsning! Tack! Jag lovar jag brukar inte läsa ut böcker som tråka ut mig, men det fanns ingenting annat till hands till våran sista dag i Bryssel. Hi John! Finally I’ve “woken up” from my round of depression and started reading blogs (and books), among other yours! It’s very interesting to read about your experience of reading books. You’ve got quite a fun combination in this post, but you caught my attention mostly with “White trash”, which I have not read but now want to, and of course, being a Pole, Joseph Conrad. I have the following at home by him: Heart of darkness, Lord Jim, Nostromo, The secret agent and The nature of crime. I have read and reread Heart of darkness so many times that I’m starting to feel sorry for my copy of the book, its covers… Did you know that before moving to Borås I was writing my extended essay on Conrad and Heart of Darkness? I haven’t reached for Nostromo for quite a while now, but I do painfully remember I have tried to read it several times and just not gotten anywhere, which is very unlike me. I will now try your tip about chapter 7 and see if this helps me out and finally gives me the opportunity to read it through. Kind of nice to read that I’m not the only one that has had trouble with this book. But Nostromo will have to wait. I have now begun, earlier than usual, my Autumn/Winter reading of Marcel Proust’s “Remembrance of things past” (or I think it’s called “In search of lost time” also? Do you know why both titles are used and the difference?). Almost done with Swann’s Way. Hello Aleks, and thanks for visiting. I’m glad you’re feeling better. I hope my tip about Nostromo will help you read that book – it’s worth the effort I think. The only one of the Conrad books you mention I’ve not read, and – if I’m honest – never heard of before, is The Nature of Crime. I’ll have to search it out. I admire you for tackling Proust. I haven’t – perhaps I should. You ask about the title in English of À la recherche du temps perdu. It seems the original English translator, rather than directly translate the title, chose to reference Shakespeare’s Sonnet 30: so “remembrance of things past” is a quote. Modern translations choose instead the direct translation of Proust’s title. Thanks for stopping by to comment, and good luck with your reading.